Colombo - Sri Lanka's cricket board has approved a tour to Pakistan, eight years after a deadly militant attack against the team brought top international games there to a standstill, officials said on Monday. 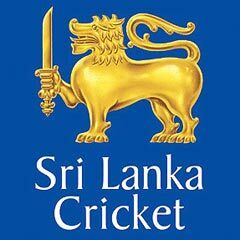 Sri Lanka Cricket chief Thilanga Sumathipala said after a security assessment, the team had been cleared to play three Twenty20 internationals including one in Lahore, scene of the 2009 attack which left eight people dead. Any tour would require government approval before the team is sent abroad. Leading cricket nations have shunned playing in Pakistan since the 2009 assault, in which gunmen ambushed the Sri Lankan team bus en route to the Lahore stadium, wounding at least seven players. "We have had our security experts visit and make an assessment, and things look positive with things improving all over the country and especially Lahore being cleared," Sumathipala was quoted as saying in a statement. "We have three T20 games coming up against Pakistan in September and we would like to play at least one of those games in Lahore," he added.